Melbourne Renegades bank on momentum against Sixers. Melbourne Renegades, who are currently on song, are set to host Sydney Sixers in the 12th fixture of the Big Bash League 2018-19 at the Docklands Stadium in Melbourne on Saturday, December 29. Both teams have played seven BBL matches against each other with the Sixers marginally leading the scoreline 4-3. In their previous faceoff during BBL 07, Renegades secured an emphatic eight-wicket win at the Simonds Stadium in Victoria. Electing to bowl first, the Renegades restricted the Sixers to a sub-par total of 111/8 and then comfortably chased their target with more than four overs to spare. Melbourne Renegades have got their 2018 campaign off to a brilliant start with consecutive wins in their first two matches against Perth Scorchers by four wickets and the Adelaide Strikers by five wickets. They are currently undergoing a supreme run and aim to continue that against Sixers. Sam Harper and Cameron White have shown some signs of form and they will be eager to make it better against Sixers. While Tim Ludeman and Jack Wildemuth are struggling to score runs, it will be essential that these two provide a strong start for the others to follow. 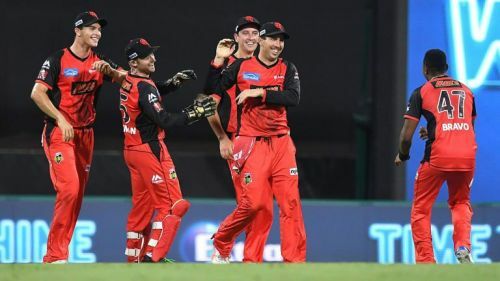 Mohammad Nabi and Daniel Christian, who scored 48 and 49 respectively in the last game against Adelaide Strikers, are the rock of Renegades middle order and both these batsmen will be eager to replicate their show against Sixers. Kane Richardson has taken five from two matches this season and the seamer is likely to cause problems for the Sydney batters. Daniel Christian claimed a three-wicket haul in their opening game against Perth Scorchers, and he will look to come out with a similar performance against Sixers. Except these two, they will also need Usman Khan and Jack Wildermuth to tighten the scoring rate and put pressure on Sixers batters during middle overs. Tom Cooper (C), Mohammad Nabi, Daniel Christian, Jack Wildermuth, Cameron Boyce, Kane Richardson, Usman Khan, Sam Harper, Tim Ludeman (W), Cameron White and Mackenzie Harvey. 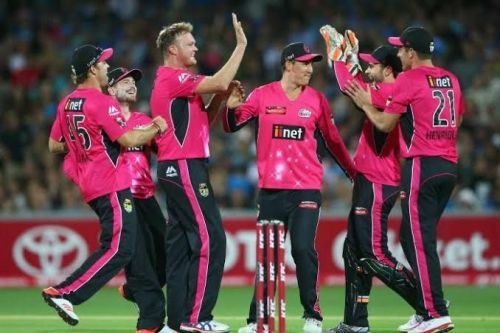 Sydney Sixers aim to end losing streak against Renegades. On the flipside, Sydney Sixers are coming on the back of consecutive defeats against cross-town rivals Sydney Thunder by 21 runs and Melbourne Stars by 5 wickets. They are in desperate need of a turnaround against the Renegades to bring their game back on track. Sydney's top order once against failed to put a decent start and their batting seems heavily reliant on middle order services of Daniel Hughes and Jordan Silk. Both have looked promising in the tournament so far and looks set for another big knock here. While their key batters from last season skipper Moises Henriques and Joe Denly are yet to make a sizeable contribution and they desperately need them to fire against Renegades. Steve O'Keefe has taken seven wickets from his three outings and he will be backed by his skipper to make the best use of his skills and rattle the Renegades batting order. Ben Dwarshuis picked a three-wicket haul against Melbourne Stars, and he, along with Sean Abbott, who has snared four wickets so far, will be expected to get a few scalps in the powerplay overs. Moises Henriques (C), Jordan Silk, Josh Philippe (W), Tom Curran, Sean Abbott, Steve O'Keefe, Ben Dwarshuis, Lloyd Pope, Jack Edwards, Joe Denly and Daniel Hughes.